Easy there pup, it’s time to put an end to problem barking, destructive chewing, trembling, and many other not-so-fun symptoms. 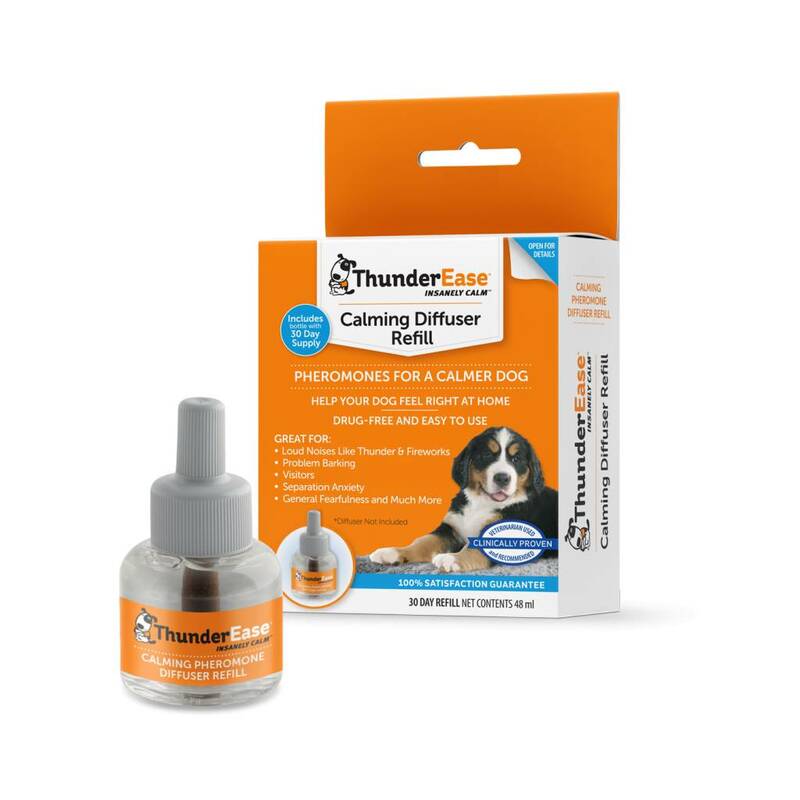 ThunderEase helps your dog feel calm and comfortable by mimicking a mother’s natural nursing pheromones. 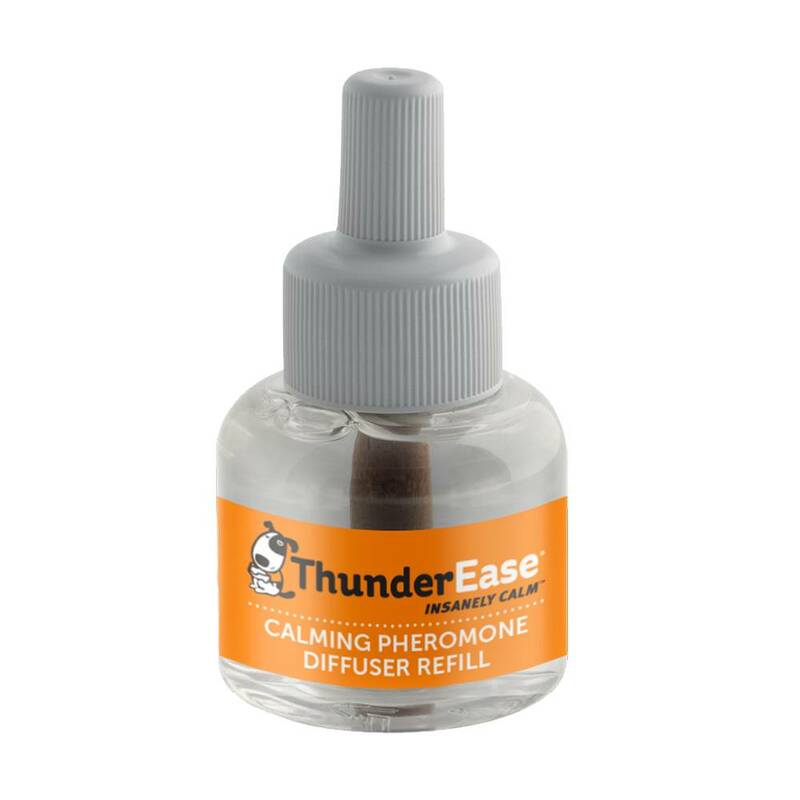 Tested to be over 90% effective for reducing anxiety and unwanted behavior, your dog will feel safer and less-stressed, totally drug-free. Diffuser not included. Single-room use. Replace refills every 30 days for maximum calming benefits.